USA Discounters, Ltd., has been ordered to stop what federal consumer protection officials say is a fee scam and to refund about $400,000 to consumers who fell for it. The company operates a chain of retail stores near military bases, offering supposed discount prices and "easy" financing to military consumers. But the Consumer Financial Protection Bureau (CFPB) says at least one of the company's many deals isn't so great. The CFPB says USA Discounters tricked thousands of servicemembers into paying fees for legal protections servicemembers already had and for certain services that the company failed to provide. The CFPB has obtained more than $350,000 in refunds for servicemembers harmed by this scam, and USA Discounters will pay an additional $50,000 civil penalty. The Servicemembers Civil Relief Act (SCRA) provides special legal protections to active duty servicemembers. Active duty servicemembers had to agree in a contract with USA Discounters to pay a $5 fee for a company called SCRA Specialists LLC to be their representative for their rights under the SCRA. USA Discounters portrayed SCRA Specialists as an independent representative that would be available to receive notices of lawsuits filed by USA Discounters, inform USA Discounters of a change in the servicemembers’ address, and verify servicemembers’ military status to determine whether the servicemember was eligible for protection under the SCRA. These services were characterized as a benefit to servicemembers, but they only helped USA Discounters sue servicemembers. In addition, many of the services were never actually performed. USA Discounters also misrepresented SCRA Specialists as an independent company working on servicemembers’ behalf, when in fact SCRA Specialists’ sole source of revenue was USA Discounters’ customers, the CFPB charged. USA Discounters gave $4.50 of each $5 fee to SCRA Specialists. The fee was charged in more than 70,000 contracts and generated more than $350,000 since 2009. End unfair and deceptive practices: USA Discounters can no longer market these contracts as a benefit to servicemembers and cannot pretend that SCRA Specialists is an independent company. Stop charging SCRA-related fees: USA Discounters may not charge a fee for any SCRA-related service involving credit it extends. Provide over $350,000 in restitution to servicemembers: USA Discounters is required to make full restitution to all eligible consumers for the $5 SCRA Specialists fee, plus interest. 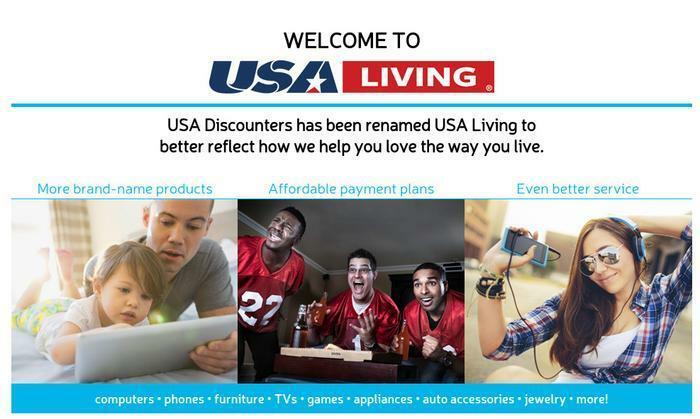 For consumers who repaid their installment accounts, USA Discounters will mail a check for the full $5 plus interest. For those consumers whose account is in collection, their debt will be discharged the $5 fee plus interest. Pay a $50,000 penalty: USA Discounters will pay a $50,000 penalty to the CFPB’s Civil Penalty Fund.